It used to be, when I thought of Denmark, I thought of Copenhagen, Kronborg, and Shakespeare’s Hamlet. After meeting Danish Ambassador Uffe Wolffhechel and his wife, Susie A. Ruff, I’ll think of Thailand. When I first arrived at Bangkok’s Danish Embassy, I was struck by how warm and homey it felt. I entered through a small green door into what looked like a jungle in northern Thailand. Flowery bushes lined the grounds. Tall trees created a canopy that shaded the yard from Thailand’s typical harsh sun. A toucan-like bird with a long yellow bill landed on a branch above me. Rumour had it that peacocks roamed the grounds. It felt like I was in the middle of Kaeng Krachan National Park rather than steps away from Bangkok’s congested Sathorn Road. Inside the Embassy proved equally as inviting. With the exception of a large plexiglass window, the waiting room looked like a living room: comfy couch, armchairs, and coffee table covered with magazines and books. Past the waiting room hallways were lined with red carpet, decorative side tables, and artwork. The building gave the air of a lived-in home rather than an official government building. “When people need passports, they come here?” I later asked Susie. She nodded. This baffled me. Before meeting Uffe and Susie, the only Embassy I’d been inside was my own country’s: the U.S. Embassy. The U.S. Embassy also felt homey to me, but it was my childhood home on Guantanamo Bay Naval Base: a tropical paradise surrounded by barbed wire. In contrast, the Danish Embassy felt like a jungle retreat. “If a Danish citizen has a problem or needs a passport, this is where they come?” I asked again. Susie showed me a room on the ground floor, where requests for assistance are processed. Like the rest of the building, it looked like someone’s home office. Where are the bland hallways with plain white walls? I wanted to ask. September 2018 will mark Uffe and Susie’s two year anniversary of moving to Thailand. When asked what they liked most about the country, they had a hard time choosing. “The multitude, the friendly active people and the many surprises,” Uffe said. Before moving to Thailand, they’d visited the country for vacation and conferences. They talked about visiting Thailand’s northern border, and the gorgeous scenery up there. Throughout our conversation, it seemed that what they liked most about Thailand was the general atmosphere:, the people, and the friendly culture. They also liked the opportunity to be at this new posting together, which is something they couldn’t do at Uffe’s previous postings. Before moving to Thailand, Uffe served as the Danish Ambassador to Afghanistan. In Kabul, diplomats’ spouses could only visit very briefly. While neither Susie nor Uffe had anything negative to say about Kabul, they did talk about the high level of security. 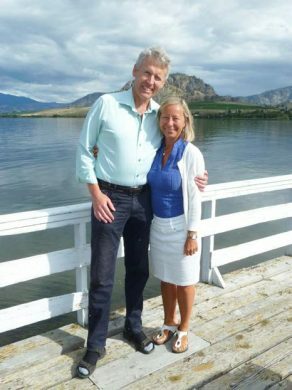 “When friends heard Kabul,” Susie said, “they asked if [Uffe] had a death wish.” “Once I was invited to a formal dinner,” Uffe explained. “And I needed a tux.” He described going to a local tailor and placing a rush order for the suit. “But then I had to wear a bulletproof vest over the suit anyways.” “I could never wear high heels at these events,” Susie added. “In case we needed to run.” Before Kabul, Uffe spent two years in Islamabad, Pakistan, where spouses were allowed to live in the country, but children could only visit. By contrast, Bangkok has proved a much more family-centric move. “It’s a government building, but it’s still a home,” Susie said about the Embassy grounds. “We try to strike a balance between being professional and being yourself. I like that I can go outside without having to be completely made-up. I can just be me.” Susie has over 25 years of experience working in both the public and private sectors,and in Denmark she uses her knowledge to offer business consulting advice. In Thailand, Susie is out of personal interest liaising with a large number of people active in the fields of healthcare, innovation and the whole Tech area. Susie is working on establishing her own Thai network. Uffe’s admiration for Thailand and its people shines through when he talks about the strong history of Thai- Danish relations. This came up as Uffe described his and Susie’s visit to the Phuket Marine Biological Centre. “[Denmark and Thailand] used to have a great marine biology exchange programme,” he said. I nodded like I understood. Both countries are on the water, so a shared interest in marine life makes sense, right? The more I thought about it, though, the more it didn’t make sense. Thailand is warm and tropical; there are jellyfish and sea turtles. Denmark is cold; they have whales and, according to Hans Christian Andersen, mermaids. Other than being on the ocean, I couldn’t fathom the similarities. “Why is there an exchange between Denmark and Thailand?” I asked. Uffe nodded, already understanding my confusion: the North and Baltic Seas vs the Andaman Sea and the Gulf of Thailand. He agreed that while the marine life between the two countries is different, it is still worth studying both with a view to preserving them. “And,” he added, “there is a long history of Thai-Danish relations.” He then launched into the fascinating history of Denmark and Thailand’s strong bond of friendship. The visionary King Chulalongkorn of Siam wanted to find a partner country in Europe which could help develop his country. At the same time the country had to be so small that it would not be able to colonise his Siam. He ended up in Copenhagen where the two royal families struck up a friendship. Uffe remarked that “Danish footprints” can be found all throughout Thailand. One such footprint is in business. 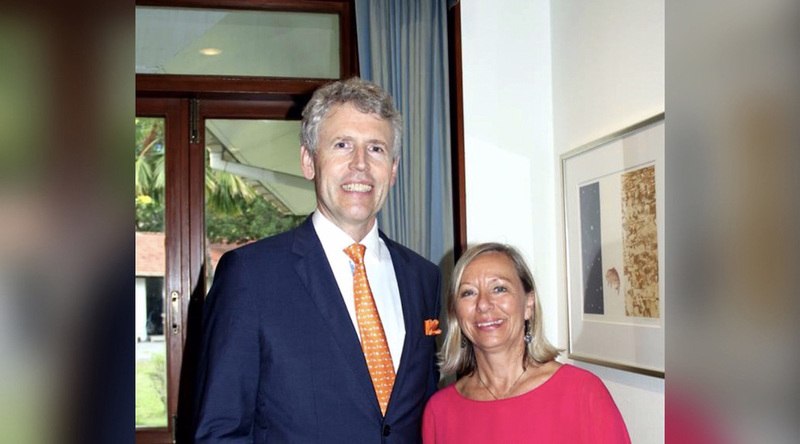 “[Denmark] is 9,000km away, but Danish companies still bring over 60,000 jobs for Thais,” Uffe said. Several Danish companies have production facilities in Thailand, including big names like Pandora, ISS Facility Services, and the porcelain company Royal Copenhagen. “[The porcelain] used to only be made in Copenhagen,” Susie explained. “Now it’s all in Thailand.” She said that the delicate skill of Thai artistry complements the dexterity needed for Royal Copenhagen porcelain. “We visited the Pandora factory expecting it to all be by machine,” she added. “But it’s very much handcrafted.” The Embassy’s two main pillars are the Trade Council and the Consular Department all kept operational with the support of a hard working administrative team. The Trade Council is supporting and advising Danish companies who are doing – or would like to do – business with Thailand – be it export promotion or assistance with regard to investment. The Consular Department is providing assistance to Danes in need of help. With approximately 175.000 Danish tourists visiting Thailand annually and several thousand Danes living more or less permanently in Thailand there will always be a lot to look after. Although most of the Danes are having a great time in Thailand, the Embassy in Bangkok is by far the busiest consular operator in the Danish Foreign Service. The Danish Embassy annually processes about 15,000 applications for visas to Denmark and Iceland (who does not have its own mission in Thailand). In addition, as part of the Kingdom of Denmark, Greenland is also a popular Thai destination. “In Greenland,” Uffe said, “the largest population is obviously people from Greenland. Then it is Danish. After that it is Icelanders and then Thais.” When I asked why he shrugged and said he would like go to Greenland and search for an explanation one day. About a week after meeting Uffe and Susie I took a trip to Khao Yai National Park. On the way, I passed the Thai-Danish Dairy Farm, another one of the companies that Uffe mentioned as being a partnership between Thailand and Denmark. Had it not been for my meeting with Uffe and Susie, I don’t think I would have noticed the farm at all. Instead, I would have only noticed the large Buddha statue that came before it or the random cowboy bar that came after it. If I had noticed the farm, the word “Danish” probably wouldn’t have registered as having to do with Denmark, just because I wouldn’t be expecting it. Thanks to Uffe and Susie, I now see Denmark’s footprints everywhere. I saw it in the obviously named dairy farm, a friend’s Pandora bracelet, and finely etched Royal Copenhagen porcelain at a HiSo resort. 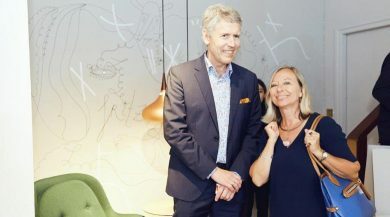 To meet Uffe and Susie not only causes you to notice the links between Thailand and Denmark, but it also makes you appreciate the partnership on a larger scale. During a time when so many countries seem to be at each other’s throats, it’s nice to be reminded of international relationships that work. Denmark and Thailand work together to support each other’s people, cultures, and economies. The long lasting friendship between their peoples not only strengthens the two countries, but further solidifies their tight bond. 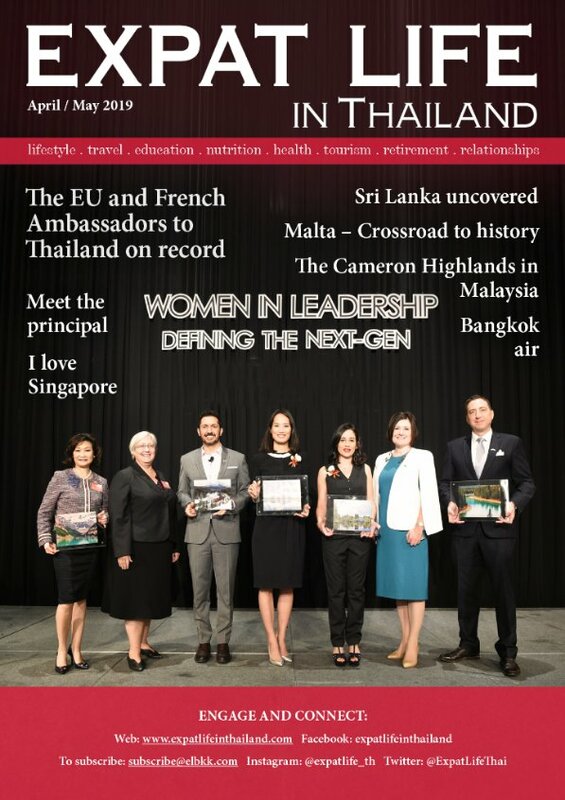 Seeing Denmark’s footprints throughout Thailand is a wonderful reminder that country-to-country relationships can be friendly and collaborative. It’s also a reminder of how everyone should be when visiting or living in a country that is not their own. After all, appreciating and contributing to other countries is part of being a good expat, right? When Beauty and Intelligence Walk Hand in Hand!